Looks like an interesting book, about how during/after the Renaissance, the Catholic Church underwent a series of cataclysmic changes that basically changed the entire religion from what it may have previously been, bringing in all kinds of Occult themes and rules, new policies on banking and such. Author argues that after these changes Catholicism as it stood became unrecognizable. Hoffman's work is always revelatory and paradigm changing and this book is no different. and no one knows what to do with it. such that the 'people' were ready. humanistic 'fell good' sentiment - this syncretism is part of this occult practice. to Catholics and Christians with an open mind. There is just one 'hit' after the next in this book. Roman Church. It is almost to much to bear. God is indeed merciful because we are all going to need it. 1. No alleged message from Heaven via a Marian Apparition or other miracle is an article of faith and you are not required to believe in any of it as a condition of Catholicity. Apparitions and supernatural occurrences are very easy to misinterpret and rigid application of an Apparition's order, i.e. the 'order' of Fatima directing the Pope to consecrate Russia to Mary - leads to the pathetic situation we have now where the Orthodox Catholic press is attacking Putin and modern Russia, which in many outward respects at least, is restoring monasteries, suppressing Gay and foreign propaganda and instituting an un-official State religion which is Orthodox Christianity. End time prophecies of disaster, etc., serve to sedate the faithful who sit around and hope God just ends the world of declares Armegeddon so we can 'just get it all over with' - this is a pacifier and served to cause people to withdraw from the fray. 2. If you read the book, you will come to understand that Vatican II was not the 'cause' of our current demise but it was only rather a significant waypoint of events set in motion during the Renaissance. 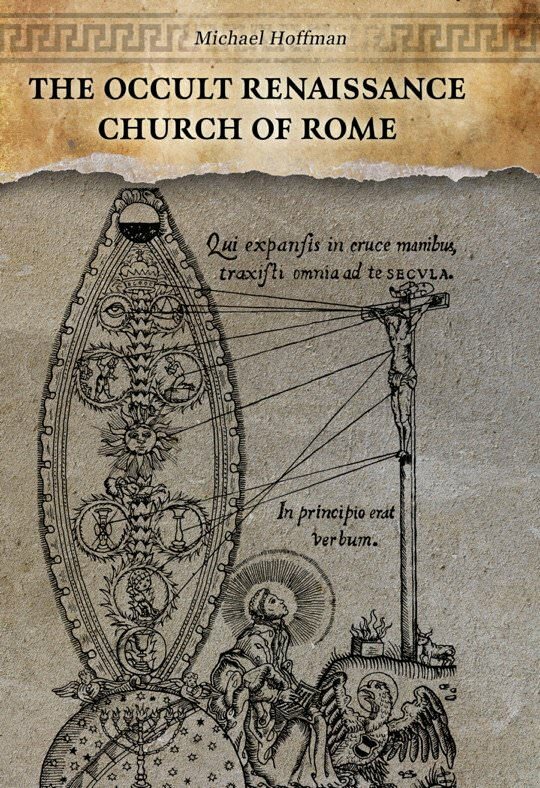 It was simply the public manifestation of occult concepts and beliefs that were inculcated into the Church hierarchy hundreds of years prior to V2. No Pope ever completely cleaned house since the Renaissance and all of them are implicated in it to one degree or another. Its like a big inside joke to say - Ah if only Pius XI or XII or Leo X were in charge when these were the guys who either actively contributed to incorporating these ideas into the Church or greased the wheels so other people could get in. Also, you show the short lenght of your ears when you make statements like "It's quite obvious that the Vatican II sect is the Harlot of Babylon prophesied in Scripture" - no one can say that and be close to being certain of it. Leave the Book of Revelation alone and just get on with your life as if you are going to live to 90 years of age, and your children and chidren's children will do the same. If God is going to destroy the Earth or call an end to it He will do it on His own time - assume it's not going to happen and let's start pushing back against these rats. "It is one of the more profound ironies in the history of the western secret societies, that artificial machine intelligence in the 21st century originated with the Hermetic and Kabbalistic concept of the “ensouling” of statues, a doctrine nurtured by the papacy’s Renaissance magical tradition. " the Talmud is printed under license by the finest printers in Europe, saving the Talmud from destruction." I have a detailed PDF that relates to the hermetica but it wont let me upload it as an attachment. Masato wrote: "It is one of the more profound ironies in the history of the western secret societies, that artificial machine intelligence in the 21st century originated with the Hermetic and Kabbalistic concept of the “ensouling” of statues, a doctrine nurtured by the papacy’s Renaissance magical tradition. " The Japanese beat them to the punch before 1000AD. "Haniwa" were (adorable and awesome) clay figurines buried alongside the dead and functioned not only as retaining walls and funerary gifts, but as prosthetic bodies for the souls of the departed. Legend has it that one Emperor was so horrified by the practice of ritually burying the previous emperor's servants alive that he demanded that the practice end, with Haniwa as a replacement for human sacrifice. Pretty sure Pharoic Egypt did that do.